You may well see Rod at the races (Chepstow or Bath) but since his retirement in October 2016 Rod has taken a step back from clinical work to enjoy other pursuits and is no longer taking routine appointments. We are very privileged to have worked with Rod over the years and he has had an excellent career. 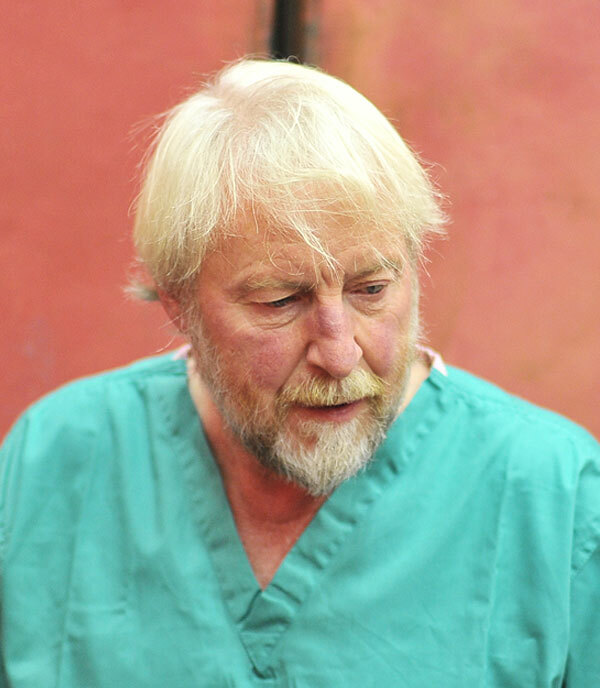 Rod qualified from the University of Bristol and started mixed veterinary practice in Abergavenny. After a period of general practice in Australia, he returned to Abergavenny to develop the equine department. 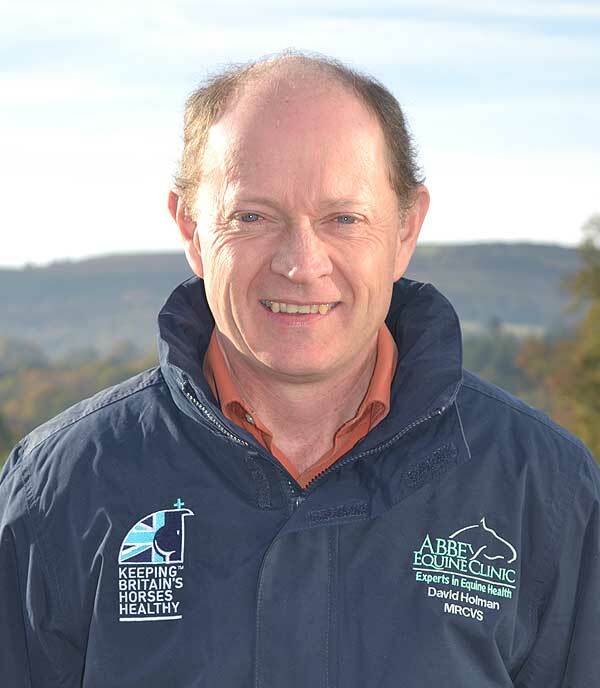 Veterinary surgeon to the British Endurance Team between 1998 and 2001, Rod has since then looked after the extremely successful British Paralympic dressage team. He is on the FEI’s recognised list of Veterinary Surgeons in the disciplines of Endurance and Eventing and enjoys an active role in officiating in both spheres. He has a particular interest in sports medicine and has a number of publications covering a range of subjects. Outside of work, Rod is a keen supporter of the Monmouthshire hunt and enjoys travelling and walking his lurchers. Georgina graduated from the Royal Veterinary College, London in 2007. After which she spent some time working for S.P.A.N.A., a horse charity in Morocco, before undertaking an internship at the Dubai Equine Hospital in the UAE. 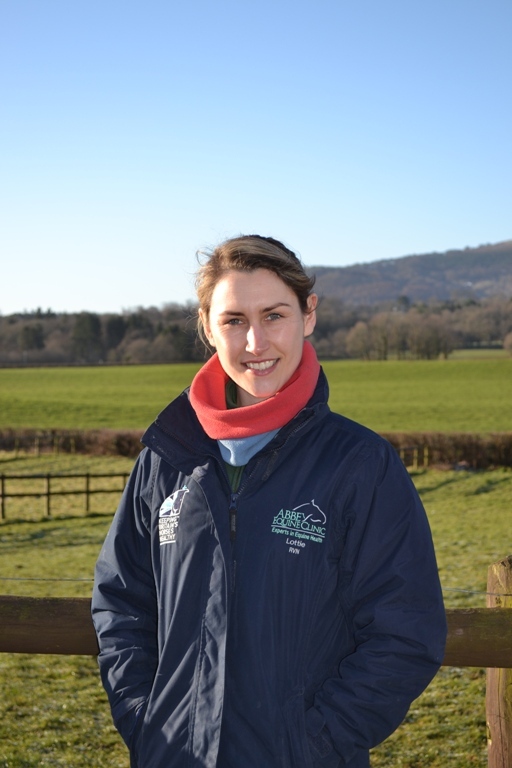 Georgina has spent 3 years working in an Equine Practice in Leicestershire before joining us in 2011. Her main interests are performance horses, neonatal medicine and anaesthesia. Georgina grew up in mid-Wales through the pony club and hunted regularly. Her main interest is endurance riding, whether it's bringing on young horses, competing in 160km rides or crewing internationally. She also enjoys running and trying to keep track of her naughty Cocker Spaniel, Lily! 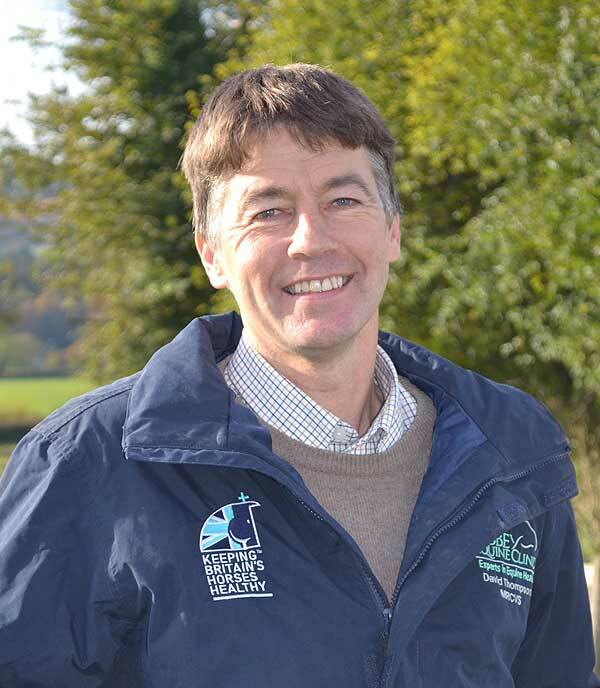 David qualified from the Royal Veterinary College, London in 1990 and after 2 years in mixed practice in mid-Wales moved to Chepstow where he continued in mixed practice and became a partner in 1999.  In recent years David has concentrated on the equine side of the practice and continues to be involved in all aspects of equine work and joined Abbey in 2014. He has been a regular member of the veterinary team at Chepstow and Bath racecourses for the last 20 years. David spends time outside work on the family farm, looking after his wife’s horses and trying to keep up with his 2 teenage sons on their mountain bikes. David qualified from the University of Melbourne, Australia in 1990. After working in both Australia and the UK, he joined Abbey Veterinary Centre in 2004 and has become a very popular member of the team. He particularly enjoys all aspects of stud medicine and also has an interest in equine acupuncture. David is a keen horse racing fan and makes it to meets whenever he can. Dave and his partner, Alison, have two young children and a small collection of Arab horses at home. Emma qualified from Cambridge University in 1996. 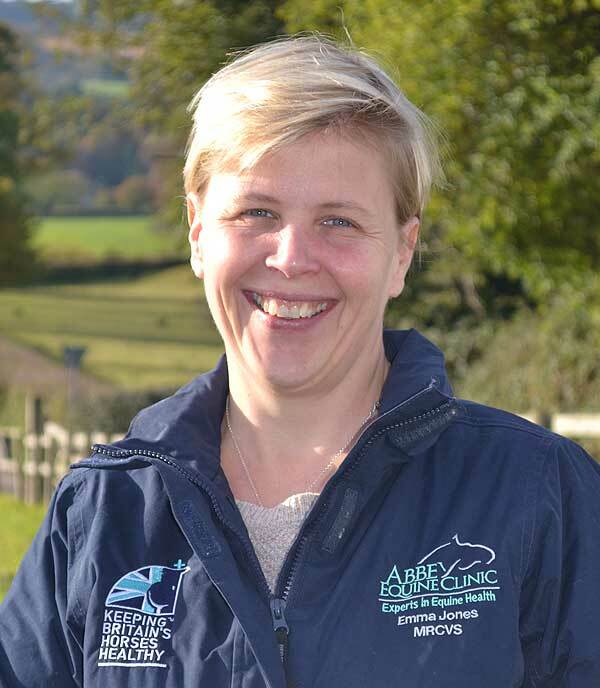 After completing an internship at the Animal Health Trust in Newmarket and spending time in equine practice in Gloucestershire, Emma completed a surgical residency and was appointed Lecturer in Equine Orthopaedics at the University of Edinburgh. Her particular interests include lameness diagnosis and arthroscopic surgery. In her spare time Emma has more luck controlling her spaniel, Freddie than her two children and bizarrely enjoys running. Helen graduated from the University of Queensland in 2013 and after 2 years in mixed practice became a locum, dealing mainly in small animals. This was only a short term plan until an equine position came up close to home. In November 2016 Helen jumped at the chance to join Abbey Equine Clinic, initially as maternity cover. She enjoys all aspects of the equine work at Abbey, but is showing particular interest in anaesthesia and lameness. Having grown up competing in multiple disciplines Helen is currently enjoying getting her young Warmblood out seeing the world with plans to event him in the future. She will be seen out on her calls with her Collie cross dog, who is becoming famous for her enthusiasm in protecting the car! Helen also enjoys keeping fit, with a particular passion for pole fitness. 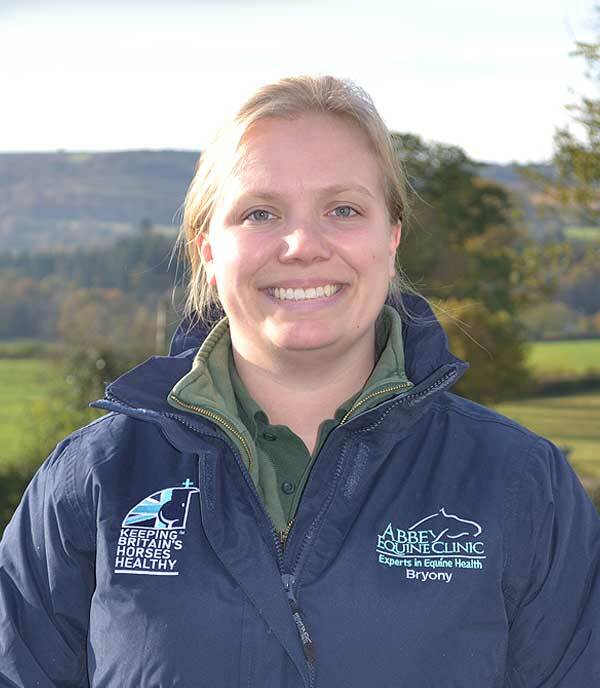 Carys' family live in Abergavenny and she graduated from the University of Liverpool Vet School in 2010, having carried out all of her equine University placements here at Abbey! Carys went on to complete an 18month specialist Equine Internship at the B&W Equine Vets Hospital near Bristol, and subsequently joined their ambulatory team, spending 6.5 years out on the road for them, enjoying all aspects of equine veterinary work and gaining extensive experience across the board; from pleasure horses to international competition horses and not forgetting donkeys and even zebra! For the past 3 years Carys has also been the Head Vet for the Horseworld Rescue and Rehab Charity in Bristol who have over 100 horses and ponies on site. This has seen her complete an Expert Witness Legal Course and work alongside the RSPCA and Emergency Services dealing with extreme rescues and medical emergencies. She also has a keen interest in Internal Medicine particularly wounds and poor performance. Carys has completed the ARVS course and enjoys being on duty at Point to Points and Eventing competitions. She is very excited to be returning to her roots here at Abbey! Outside of work she loves socialising with friends and Eventing her Dutch Warmblood horse Tommy. Carys will never be alone on her calls, her young black Labrador Tally has the job of chief vet's assistant! Anna qualified from the Royal Veterinary College in 2018, after completing a previous degree in Bioveterinary Science in Gloucestershire. Anna enjoys all aspects of equine work, however has a particular interest in anaesthesia and all things medical. Originally from London, Anna grew up near Ystradgynlais and spent most of her time hunting and riding with the Sennybridge Pony Club. Outside of work Anna enjoys keeping fit by walking her crazy springer spaniel Mickey. Sam qualified from the University of Nottingham in 2017, after which she completed a years internship at the Royal Veterinary College also gaining a diploma in Veterinary Clinical Practice. Sams' main interests include lameness, sports medicine and poor performance investigation. Sam grew up in Bristol on a small livery and rehablitation centre, spending her holidays working at a variety of professional yards and enjoys eventing. Away from horses Same enjoys swimming and walking so is looking forward to many adventures on the Brecon Beacons! 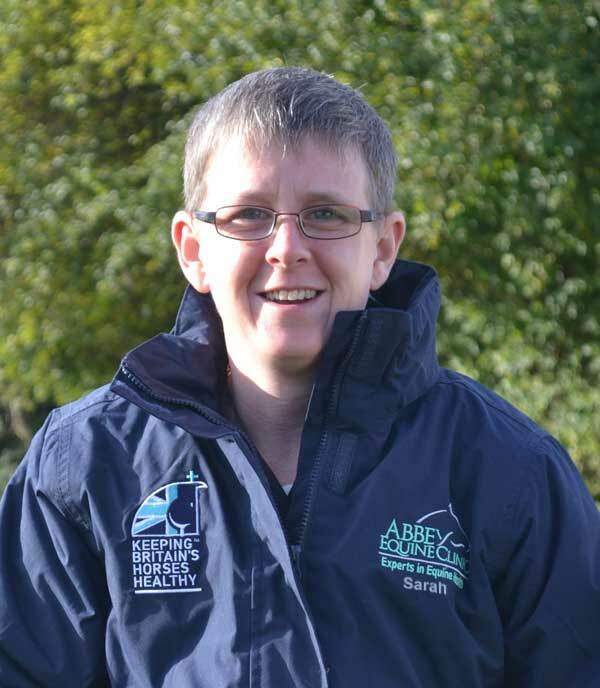 Karen qualified as a registered veterinary nurse in 2000 and joined Abbey Vets in 2002 and gained her Diploma in Equine Nursing in 2013 after studying at the Open College of Equine Studies in Suffolk. Karen has also recently qualified as a 'Suitably Qualified Person' (E-SQP) for both Equine and Companion animals. She has a keen interest in wound management, first aid and preventative health care. Outside of work, Karen loves point-to-point and National Hunt Racing, in which she has participated as an owner, trainer and jockey. Karen’s other interests include foreign travel, SCUBA diving, good food, and riding/driving her Fresian Matty. 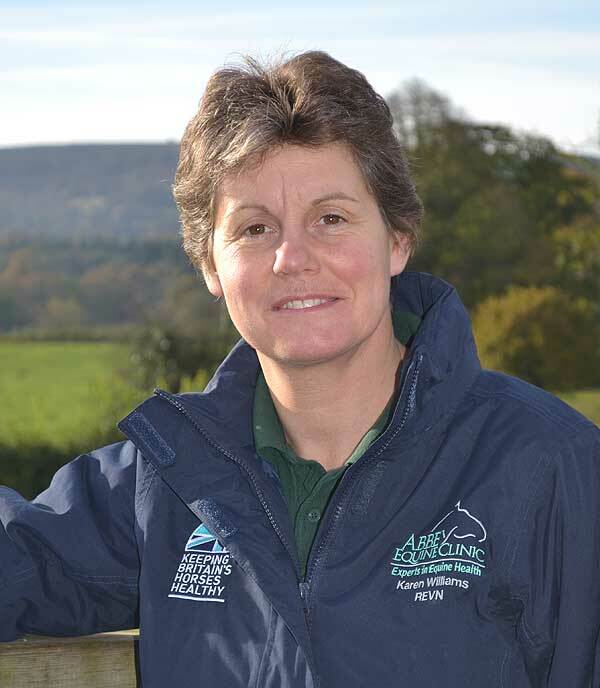 Please give Karen a ring at the clinic if you would like advice on any equine management issues. Sian Warman joined our team 2010 having been in her previous veterinary practice for 16 years. She has also worked at hunt kennels. 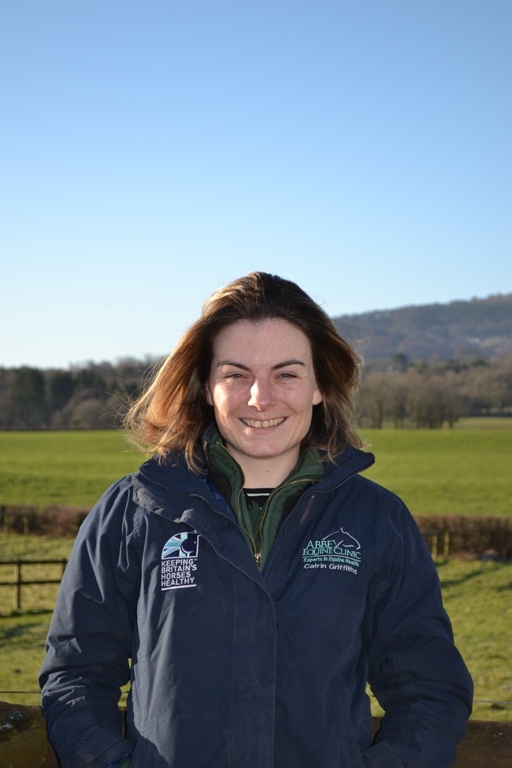 Sian has also recently qualified as a 'Suitably Qualified Person' (E-SQP) for both Equine and Companion animals. Sian has her own horses and enjoys competing and breeds labradors. Lottie joined Abbey Equine in 2017. She previously worked at Abbey Vets small animal practice since 2013. Lottie qualified as a Registered veterianary nurse in 2015 and has a particular interest in anaesthesia and theatre work. Her interests outside of work include walking her dogs Luna and Oscar who keep her active and enjoying the beautiful mountains surrounding Abergavenny. Lottie also enjoys riding in her spare time and catching up with friends. Catrin joined Abbey Equine in December 2016 after qualifying as an Equine Veterinary Nurse from Hartpury College in 2017. Catrin has a keen interest in medical nursing including intensive care and neonatal care. Outside work, Catrin enjoys spending time with her ex-racer Bob and discovering the countryside of Wales walking. 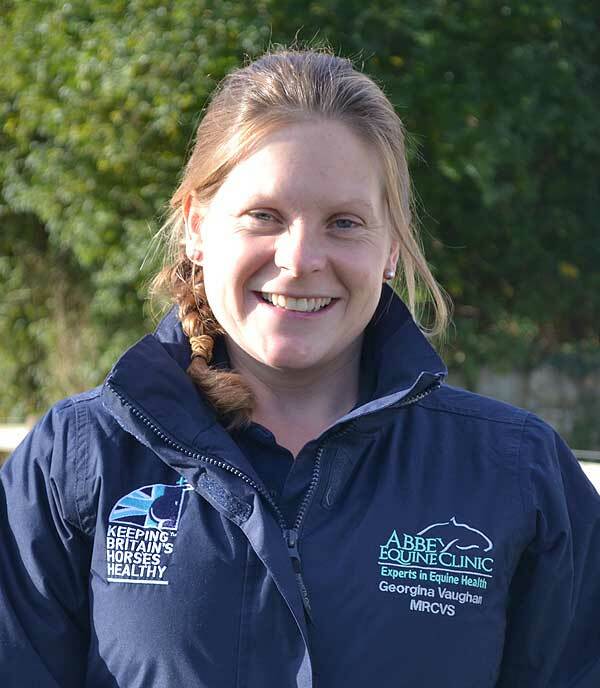 Bryony joined Abbey Vets in 2007 and has been involved with horses all her life. Bryony’s primary interest is in showing and she regularly competes at county level. In 2009 Bryony became our qualified A.I. technician, and she enjoys assisting the stud vets in the reproduction clinic. Bryony has also recently qualified as a 'Suitably Qualified Person' (E-SQP) for both Equine and Companion animals. Bryony’s dog, Dotty, is our practice pet and enjoys meeting new clients. 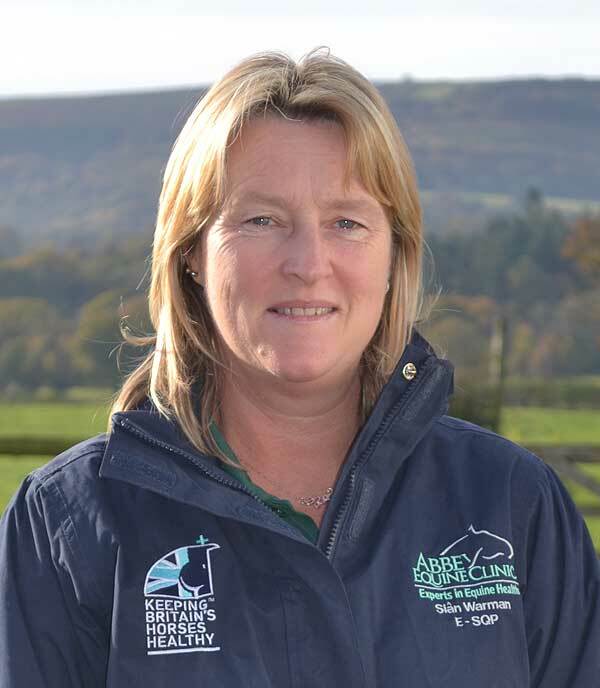 Mandy emigrated to the UK from South Africa in 1991 and has worked and participated in Eventing and in The Point to Point and National Hunt industries as both groom and amateur jockey. Her interests are skiing, running, cycling and she also has a competition Drivers license and competes in motor sports events such as Hillclimbs and Sprints as well as being a member of the 'All Wheel Drive Club' where she competes in off-road racing with her partner. Mandy joined Abbey in February 2014. They have a young daughter, two cats and a lurcher cross sheepdog. Sarah has worked at our small animal unit for more years than we care to mention! Sarah assists Sarah our dental vet every Monday and enjoys the change of scenery. Sarah has a yellow Labrador called ‘Will’ and they enjoy long walks and do mountain rescue training. Maria joined us as Equine Office Manager in May 2017. Maria graduated in 2005 from the Royal Agricultural College, Cirencester with BSc (Hons) degree in Agriculture with Animal Management. 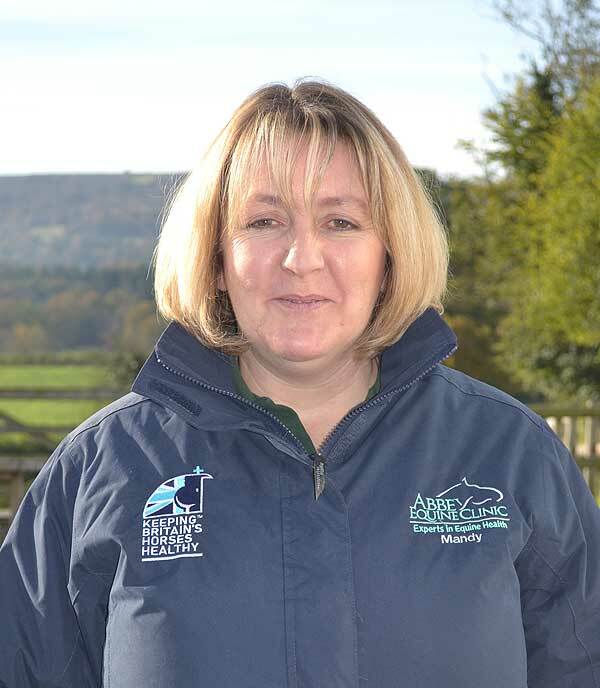 She has previously worked in the hunt service, at both the Brecon & Talybont and Curre & Llangibby hunt kennels, and has recently joined us from the insurance industry. 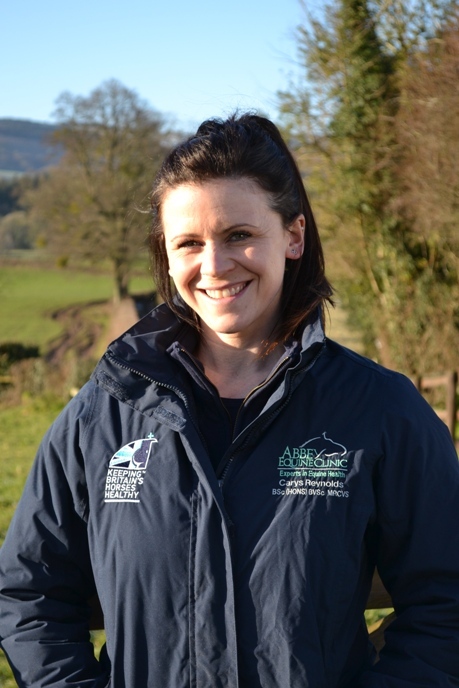 Maria grew up on her familys' livestock farm in Brecon and has always enjoyed working with animals. All Marias' spare time is devoted to looking after her tribe of horses, dogs and chickens. She also enjoys cooking, baking and looking after her two young nieces.